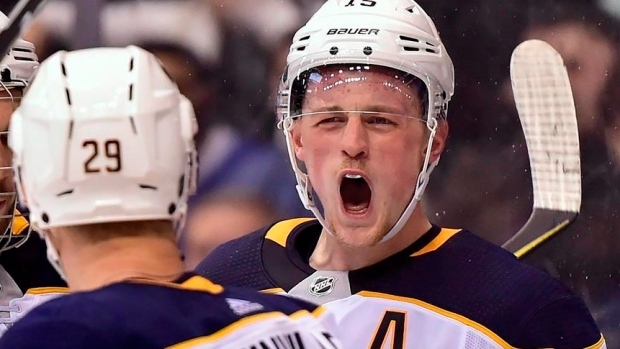 The Buffalo Sabres named Jack Eichel captain on Wednesday ahead of his fourth season with the team. Eichel was drafted second overall by the Sabres in 2015 and led the team in points in each of the past two seasons. The 21-year-old scored a career-high 25 goals and 64 points in 67 games with the Sabres last season. Eichel is entering the first season of an eight-year, $80 million contract with the team. He will turn 22 later this month. The Sabres had been without a captain since Brian Gionta left the team in 2017.